Some months ago, Google launched their Alpha program for their upcoming CDN service. We kept a close eye to their development and in the meanwhile, in NEXT 2016 Google has already announced the Beta phase of their CDN. We already discussed how this new product will fit in the broad palette of content distribution solutions Google has implemented. 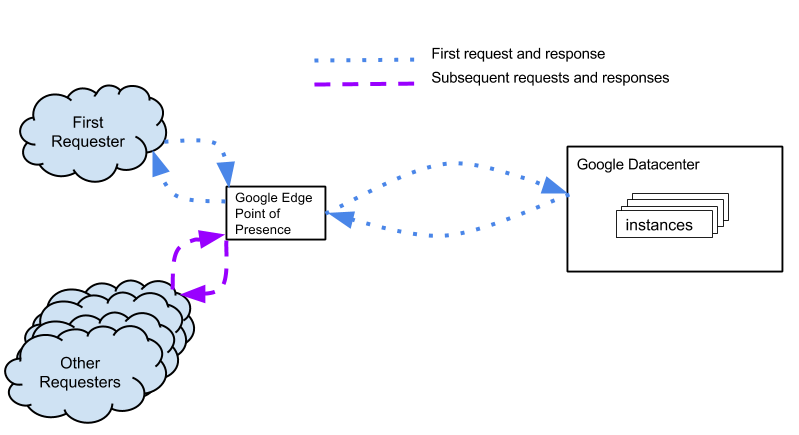 We have seen Google Global Cache, which is primarily aimed at speeding up their own services at ISP level, with more than 800 caches installed globally. CDN Interconnect is their partner program with third party providers like Cloudflare, Level3, Akamai, Highwinds, Fastly and Verizon, allowing them to use Google’s backbone network to transport content faster than ever from the source to practically anywhere where it is required, powering up CDNs not only with faster caching, but also enabling them to deliver rapidly changing content at top speeds. Cloud CDN is Google’s own CDN solution for sites running in VMs inside Compute Engine. It is designed and implemented a bit differently from other CDNs, since it is meant to cache not only static content, but practically a whole site in more than 50 edge caches globally. 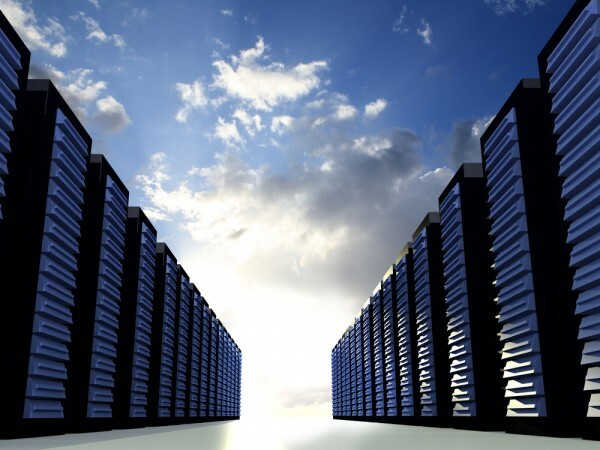 It is a whole new take in the concept of CDNs, going way further than simply caching files, since it is directly integrated into their Load Balancing system and it literally means that a copy of your site will be running and serving from the closest location to your customers, with a single public IP address thanks to Anycast. In addition to HTTP/1.0 and 1.1 it also supports the new HTTP/2 protocol as well as free HTTPS, putting your site at the edge of current Web technology. 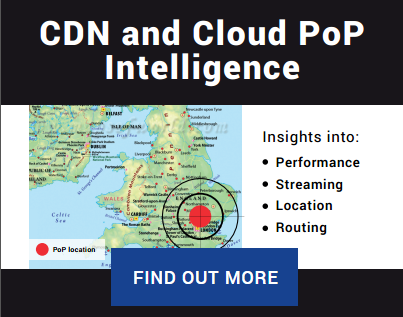 Using our tool CloudPerf, we were able to try out and see how well it performs compared to other CDN providers, including some of their Interconnect partners. We have four exact copies of our test VM in Google Compute Engine running in different locations worldwide. Since Cloud CDN is designed to run in front of a whole site, instead of only caching static objects, we designed a simple 100kB page to test this system at its best capabilities. CloudPerf uses a real instance of Chrome to load the whole page and measure the time it takes to visualize the content in a real web browser, measuring as always from the last mile, where real users are. Please consider that CloudPerf‘s Page Load test, by using a real instance of Chrome requires a cold start of the browser instance and includes DNS resolution times. That means that at this moment the measurements using this method will have an overhead of +/-600ms added to the real measurement time. The relative measured times between all destinations are correct since all of them are made with the same probe, but the absolute measured times include the above mentioned overhead. Now let’s see what happens with the 100kB Page Load test in a selection* of worldwide countries. We can clearly see that Google Cloud CDN outperforms all other CDNs in loading a whole page in most countries. We can have a look at the special case of Japan, which shows the lowest measured times, by simply filtering results in CloudPerf. Going further, if we take a look at a selection of european countries**, we observe a similar situation only with Cloudfront, Level3 and Akamai coming a lot closer to Google’s performance. Now, in the USA the battle is fierce, although higher than Japan, the overall loading times of most CDNs are very close to each other and the general performance is really good, except for MaxCDN, which in our measurements got a little behind the rest, but still performing reasonably well in comparison to other regions. Nevertheless, it is evident that CDNs strive for top performance especially in the US market. How does Google achieve such top loading times practically everywhere? We think that this is precisely due to the fact that Google CDN is embedded in the Load Balancing system of Compute Engine and that means that you can configure your site to automatically replicate your VMs whenever it is necessary to a location closest to your users, meaning an overall higher response time and effectively shortening loading times.There is a very noticeable difference when we include into the equation the time it takes to load and resolve all objects of a page from a single location close to the user, as opposed to other CDNs where only traditionally cacheable content gets copied and the rest has to be retrieved from the origin. 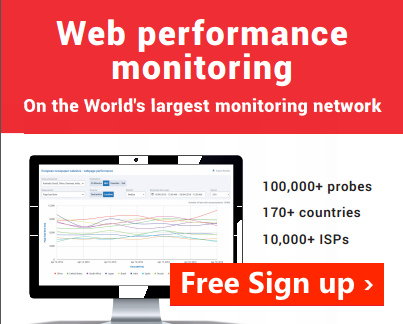 PS: You can make your own comparisons and performance tests using CloudPerf.Sign up now! ** France, Germany, Italy, Netherlands, Norway, Poland, Romania, Spain, Sweden and United Kingdom.